So just last week I heard about the passing of a mile marker a couple of months back. 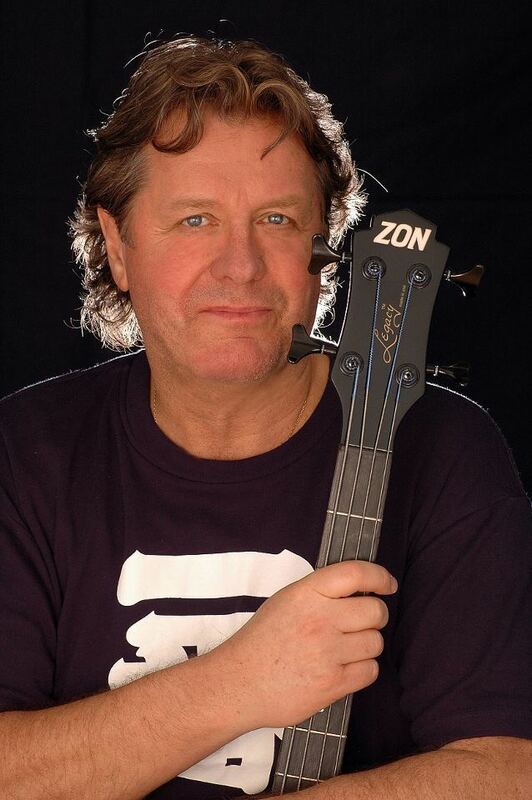 I'm talking about John Wetton, an English musician who died from cancer in January. For those of you wondering, "Who?" he's probably best known as the guy who sang "Heat of the Moment" as lead singer of the rock band Asia back in the 1980s. 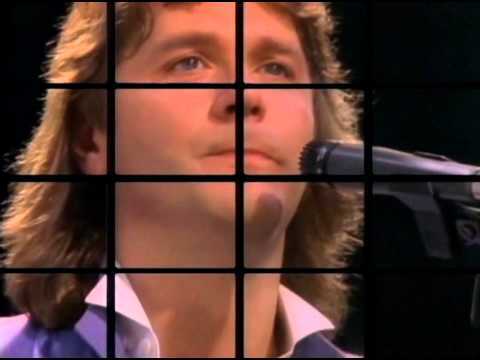 But John Wetton was a hell of a lot more than just a singer. He played on three of King Crimson's better albums and on two of Uriah Heep's lousier ones. He toured with Roxy Music and fronted another "supergroup" you likely never heard of called U.K., where he helped foster the career of a young drummer named Terry Bozzio (who went on to fame with Missing Persons in the 1980s). King Crimson in 1974. John Wetton is on the right. Music was incredibly important to me growing up. Like all teenagers, I had my prejudices and my reasons for them. This was especially true of music. I loved rock, secretly liked pop and country music more than I cared to admit, and was learning to appreciate soul and jazz. I had heard of progressive rock, but really had no idea what it was. I knew that I liked bands that were labeled progressive rock such as Canadian power trio, Rush. All that changed the first time I saw the video for Asia's "Heat of the Moment" on MTV at my friend Steve's house. That song STUCK with me. I had to hear the rest of the album. Picked it up the next day. "Soul Survivor", "Wildest Dreams", "Time Again", "Cutting It Fine"? There's not a bad song on that album. I still own that original cassette (man, am I dating myself, or what?). To be clear, Asia was not in the strictest sense a progressive rock band. A "supergroup" in the tradition of such '70s testaments to wretched excess as Beck, Bogert, and Appice, and Blind Faith, Asia was the brainchild of two Geffen records execs. And when you looked at the personnel these guys recruited for their project, Asia definitely fit the supergroup mold. All four original members possessed solid rock credentials. Drummer Carl Palmer had provided the hammer which powered pomp rock stalwarts Emerson, Lake, & Palmer to '70s chart success. Virtuoso guitarist Steve Howe and well-traveled keyboardist Geoff Downs were both refugees from prog rock pioneers Yes. 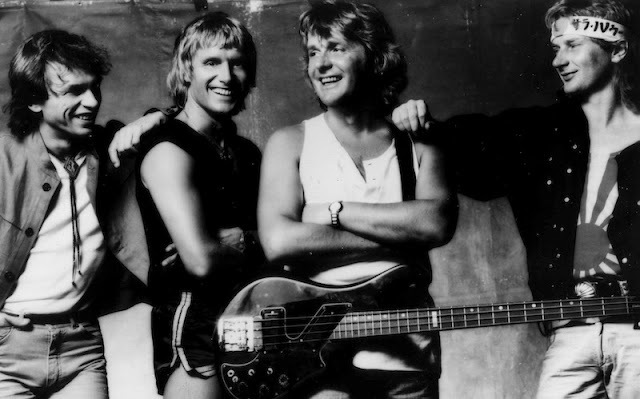 And the band was built around the songwriting and vocal work of bassist/lead vocalist Wetton (who they recruited first). Put simply, these guys possessed chops and cred. 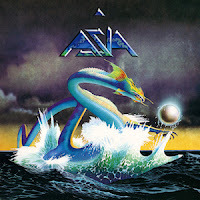 Their first album, the self-titled"Asia" (not to be confused with Steely Dan's 1977 masterwork, "Aja") disappointed critics even as it captivated rock fans. I was one of the captives. And like so many "supergroups" before them, Asia peaked with that first album out of the gate. The band got too big too fast, and when the record company began putting pressure on them to replicate the success of the first album, they didn't have anything like the hooks they wrote and worked out for that first album. Then the egos started exploding, and Wetton was kicked out of the band by the same guys who'd brought him in (he drank too much, wasn't a team player, etc.). He and all of the other original members except for keyboardist Geoff Downes would be in and out of the band for the next two-plus decades, until a reunion tour (2006) and new album (2009) with all four original members. They've released some pleasant stuff since, but it's not anywhere near the quality of that first album. It can be argued that Asia was never a progressive rock band, their music definitely possessed prog rock elements with pop music production values. This made Asia a sort of gateway drug for me. Without being exposed to them I might never have been intrigued enough to give progressive rock bands such as (Peter Gabriel era) Genesis, or Yes, or Kansas, or even Rush as close a listen as they merit. Asia–and Wetton–introduced me to a slew of artists who took chances, shook things up, changed up time signatures, and performed at virtuoso levels, all refusing to be bound by convention and live within the accepted strictures of their art. And not just in progressive rock, but in the work of other musicians. Iconoclasts such as Springsteen, the aforementioned Steely Dan, Miles Davis, The Who, The Clash, just to name a few. Before long it wasn't just in music that I found myself drawn to that variety of rebellion. Literature, poetry, painting, cinema. I've spent my days in search of creative rebels and iconoclasts. And I've striven to strike that tone in my own work, with varying degrees of success. But it all really started with Asia, and with John Wetton. When "Heat of the Moment" was released as a single in the United States, the song on the B-Side of the record was called "Ride Easy." Recorded at the same time as the rest of the songs on the first album, it was inexplicably left off of it. In the years since, it's become a concert and crowd favorite and the band performed it a lot. That seems like a fitting final wish for a guy whose work was a gateway for me to so much of what I've found valuable in my life. I was more a blues/rock fan than prog, but I had Close to the Edge and at least one other Yes LP (yeah, vinyl), and a couple of early King Crimson. Rock went through the same evolution as jazz, from fairly simple to very complex, so much so that it became a showcase for chops rather than communication with the audience...at least that was my feeling. Wetton, yeah, terrific voice. That first Asia LP really was a classic. The band was MUCH better than Blind Faith, which was less a band than a collection of egos (does anyone remember much from their lone LP?). Do you remember Cactus, which featured both Beck and Appice before they teamed up with Jeff Beck? If not, don't worry. 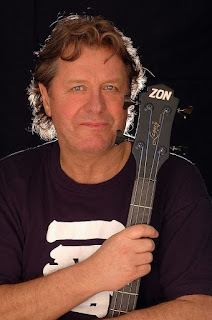 I'd forgotten all about John Wetton and I was sorry to read of his passing. Thanks for reminding me of some great music I haven't listened to in a long time. And congrats to Art (and everyone else) on the ITW nomination. Thanks for this post, Brian. I remember "Heat of the Moment," of course, and a few of Asia's other songs, but most of this information is new to me. I'm sorry to hear of John Wetton's passing. And yes, congratulations to Art and all the other ITW nominees. On Blind Faith: you're right- two good songs ("Can't Find My Way Home" and "Presence of the Lord"- no idea why they didn't include "Sleeping in the Ground" until the release of the 2001 remaster) do not an album make. And I've listened to Cactus, just like I've listened to Camel and Pilot, and Ambrosia's supposedly progressive rock stuff (songs like "Nice, Nice, Very Nice", as opposed to their straight-up pop ballad stuff), and I can't say I found it the slightest bit memorable. Your likening of Rock with Jazz's earlier evolution is intriguing and having thought about it, I am inclined to agree. Do you suppose this sort of thing is happening with Hip-Hop as well? And also, do you see the rise of punk and new wave, and then of alternative as rock reinventing itself for new generations? Seems to me that in the age of streaming music rock, like jazz, is getting elbowed out of the popular music mainstream (mostly by glitterpop and pop-country!?!). I didn't write the post about the ITW nominations. Rob did and it posted right above mine. So if you'd like Art to see your congratulations (well-deserved, I'm sure), you might consider popping over to that thread. I wasn't cognizant of Welton, but I wonder if my brother might… he gets more into bands and the history than I. And big congrats to Art!! The honors just keep on comin' . . . If you like the B-side Ride Easy, you should check out another of theirs, Lying To Yourself, which highlights John's vocals. I got my picture taken with him, as the band's manager resides locally. Was very sad to hear of his passing.